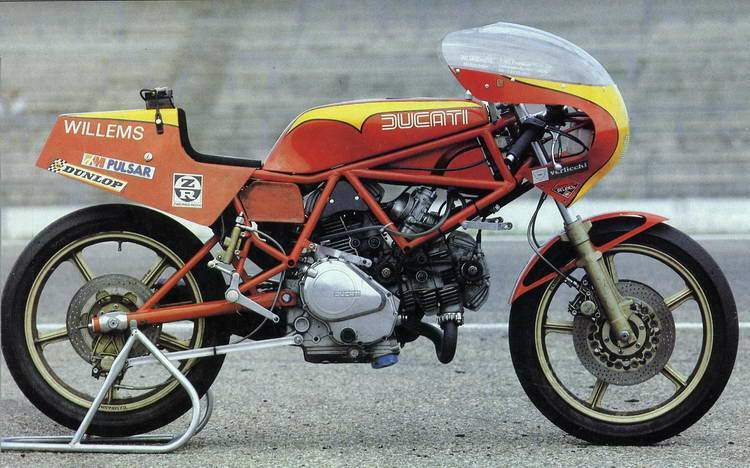 Ducati's600cc racer has inspired a host of lookalikes but the Moto Vecchia version is the most affordable. Dave Colder wood tries the bike that Ducati should have built three years ago. 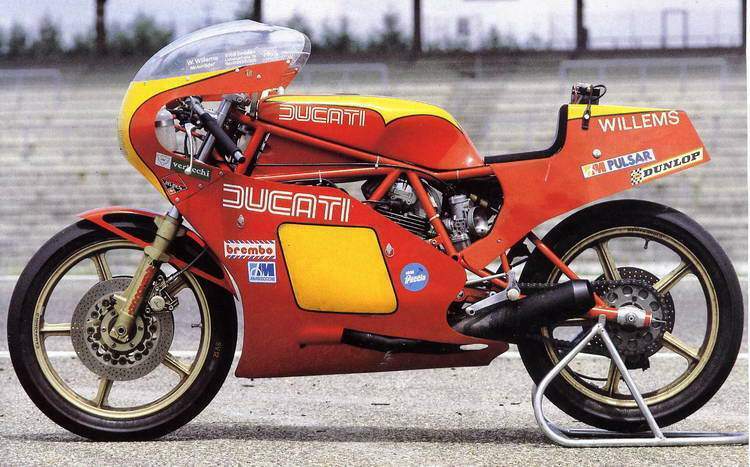 LET'S get the story straight at the beginning: Ducati's Formula 2 racing bike came about in 1981 when the Italian motorcycle sport organisation adopted regulations for one of their national championships which closely followed the world TT formula. To take advantage of this, Ducati NCR, the factory racing team, developed and built a limited batch of bikes for their team of riders. Their star rider, Massimo Broccoli, won the F2 title after a season-long battle with the Bimota factory team of KB2s — the 'Laser' powered by overbored 500-4 Kawasaki engines. 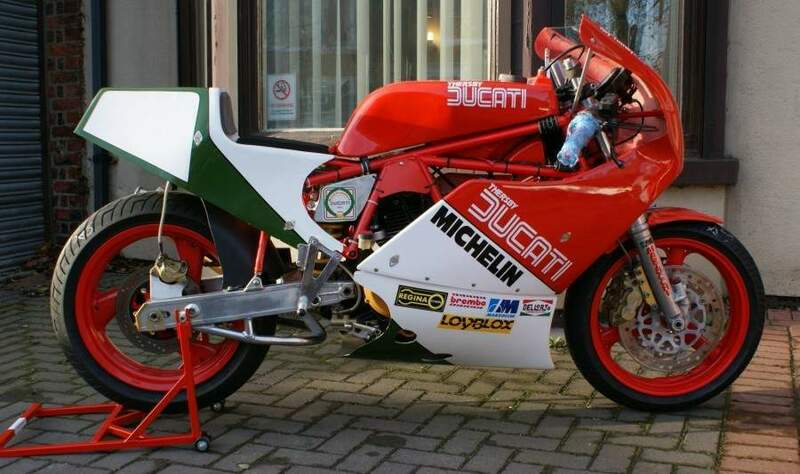 Ducati NCR had no plans that year for the world F2 series but arch Ducati dealers Sports Motorcycles of Manchester did. Using a chassis from a crashed road bike and a totally rebuilt factory development engine, Steve Wynne and Pat Slinn of Sports set about producing their own F2 bike. It's history now that Tony Rutter rode that bike to win the F2 TT in fine style with a fastest lap of 103.51mph. The second (and final) round of the world F2 championship that year was at the Ulster circuit of Dundrod where Rutter finished second behind Phil Mellor on a Yamaha RD350 — based machine. This time he rode a factory TT2 brought over specially by two Ducati bosses, a visit made all the more worthwhile because that placing was sufficient to win the world title. For the above report and the following details about the factory TT2s, we must applaud journalist Alan Cathcart who must be the only person to ever get more than 50% of the full story out of an Italian factory. His book Ducati Motorcycles (Osprey, £11.95), as well as being a thoroughly good read, is now the standard reference work for the marque. Cathcart's chapter on the recent racing successes of Ducati (aptly headlined 'Two cylinders can be better than four') reveals the following about the TT2 on which we can judge any of the 'works replicas' now being offered. Rutter's Dundrod bike was one of five factory TT2s which used the Pantah engine as a starting point but which were designed as racing machines in every other respect, including having a completely new monoshock frame. 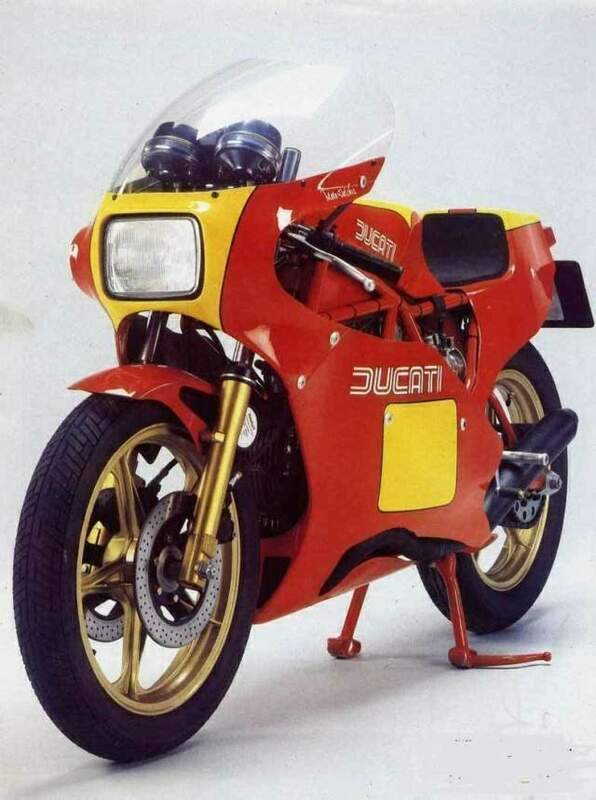 The TT2 was designed, as were all Ducatis of the past 25 years, by Ing Fabio Taglioni, a fabled character nowadays. According to Cathcart, who has actually managed to ride one, the TT2 'encompassed all Taglioni's insistence on light weight, efficient air penetration, wide power band and ease of handling'. The new frame was made by Verlicchi, who also made the standard Pantah frames, and consisted of a network of tubes weighing only 7kg. A Marzocchi shock absorber was used with that same firm's fully adjustable front forks. Wheels were either 16 or 18in depending upon riders' preferences — Rutter chose 18in, we're told. Wheelbase was short at 55in and weight savings abounded on the bike to get it down to 148kg and that's complete with electric starter and battery as required by Italian rules. The motor was bored to 81mm rather than the road Pantah's 80mm which with a stroke of 58mm gave a capacity of 597cc, 14cc more than the Pantah. With higher compression, bigger valves, 40mm carbs, racing cams and careful engine assembly, it produced peak power of 78bhp at 10,500rpm with a good spread available upwards of 6000rpm. In 1982, the factory repeated its success at home in the Italian championship with Walter Cussigh doing the winning. They also provided a genuine dry-clutch on the bike to get it down to 148kg and that's complete with electric starter and battery as required by Italian rules. In 1982, the factory repeated its success at home in the Italian championship with Walter Cussigh doing the winning. They also provided a genuine dry-clutch works bike for Tony Rutter in the world F2 series which was now three rounds — Vila Real in Portugal had been added to the schedule. Sports Motorcycles continued their involvement, paying all expenses and burning not a little midnight oil when preparing the bikes. Rutter not only won the championship but every race, including a record TT lap of 109.27mph. His race speed would have earned him third place in the l000ccFl event. Since then, Rutter has won two more F2 world titles, still in association with Pat Slinn, and has set up his own company called 'Tony Rutter Racing Ltd'. An Fl bike has been added to the stable with a bore x stroke of 88 x 61.5mm for a capacity of 750cc — good enough to take third behind the works Hondas in '84. A similar plan of action is intended for '85. So that's the essential 1% of the story behind the Ducati works. 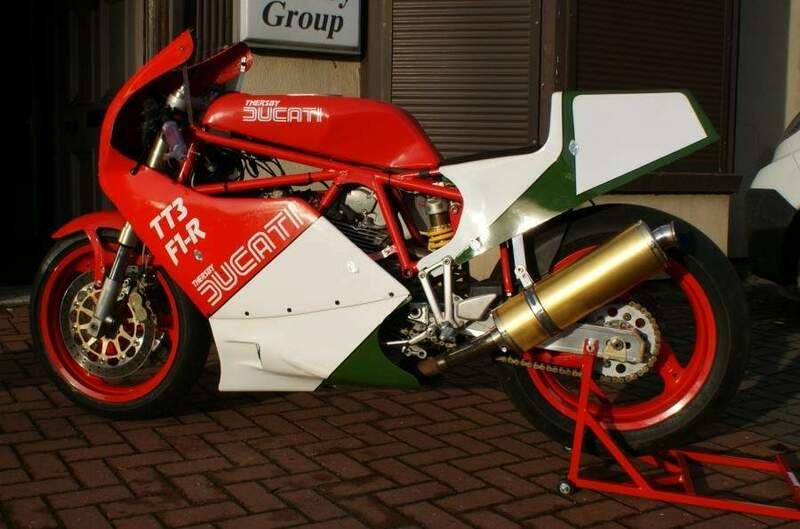 The Ducati Pantah TT2 road going version that you are displaying, was made and built by Roy Thersby, and sold from both his showrooms and Moto Vecchia, as all salesmen tend to leave things out, the main item was who made it and they claimed it as theirs. Thersby made 15 frames and Saxon 9-10 frames to the Thersby pattern, many of the modifications were copied by Ducati and Harris and most of the other frame builder’s round that time. Thersby never stopped building bikes and now has more 1980 models in his list, the famed 1984-85 750 F1 Racing he has started to remake giving the classic riders chance to make and ride one of the first super bikes to originate from Ducati. The 750 F1-Racing was not for sale, with it being used as the test bed for different suspensions and the later 4valve engine, leading to the 888, and 851. Thersby has one F1-R which has the Reno Leoni championship AMA engine fitted, which he spent many hours painstaking building to the Factory dimensions. The Ducati TT2 that you have listed now resides in the Barber Museum in Alabama USA. 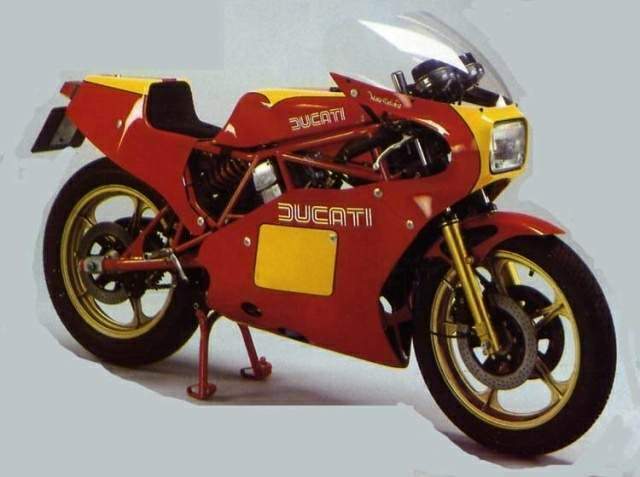 The first bike Thersby Produced at the Olympia show in 1984, I wonder where Ducati got the idea from to paint the 750 F1-Racing, and the F1 road versions from, they revealed their new racing model at the Bologna show in 1985 then later in 1985 the road going version of the Bike appeared.